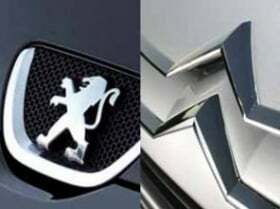 PARIS (Bloomberg) -- PSA/Peugeot-Citroen will eliminate an additional 1,500 jobs by 2014, deepening its workforce reduction as auto sales in the region plunge to a 17-year low. The cuts come on top of 8,000 job losses announced in July and will be made by not replacing people who leave, said Jonathan Goodman, a PSA spokesman. Workers were told on Monday that the number of employees that the automaker has in France will drop 17 percent to 55,900 in 2014 as a result of the cuts, said Christian Lafaye, the leader of the FO union. PSA is also closing a factory on the outskirts of Paris, selling assets and negotiating a strategic alliance with General Motors Co. to reduce spending. PSA has been depleting cash reserves in the last year at a rate of 200 million euros per month. The automaker said in October that net debt at the end of 2012 will total about 3 billion euros, versus a prediction in July of 2.5 billion euros. With voluntary redundancies, "you are losing those people who can leave and you are left with the underachievers," said Erich Hauser, an analyst at Credit Suisse Group in London who estimates eliminating that many jobs would save 70 million euros ($91 million) per year. Moody's Investors Service cut PSA's long-term debt rating to three levels below investment-grade on Oct. 10, adding pressure on its banking unit, Banque PSA Finance, which is still rated investment-grade. France's government stepped in on Oct. 24 to bail out PSA, guaranteeing as much as 7 billion euros in new bonds in exchange for greater influence over company strategy. The automaker needed the French state backing for the banking unit to keep down borrowing costs and offer customers competitive financing rates. The company's shares have dropped 53 percent this year, valuing the automaker at 1.75 billion euros. Volkswagen Group, Europe's largest carmaker, has gained 46 percent in 2012, giving the German company a market capitalization of 76 billion euros. Europe's auto market is on track to drop this year to the lowest sales volume since 1995, according to the ACEA trade group. PSA's 10-month sales in the EU and EFTA markets fell 12.2 percent to 1.27 million in a market down 6.9 percent to 12.2 million, according to ACEA. In an effort to combat overcapacity, PSA plans to close its Aulnay plant on the outskirts of Paris in 2014. The facility, which manufactures the Citroen C3 subcompact, employs 3,000 workers. PSA is working on the details of the strategic alliance with GM, which is now the French automaker's second-largest shareholder, to build vehicles together and jointly purchase parts and supplies. PSA is selling a 75 percent stake in its Gefco trucking unit to Russian Railways for 800 million euros and has also sold its headquarters in Paris.